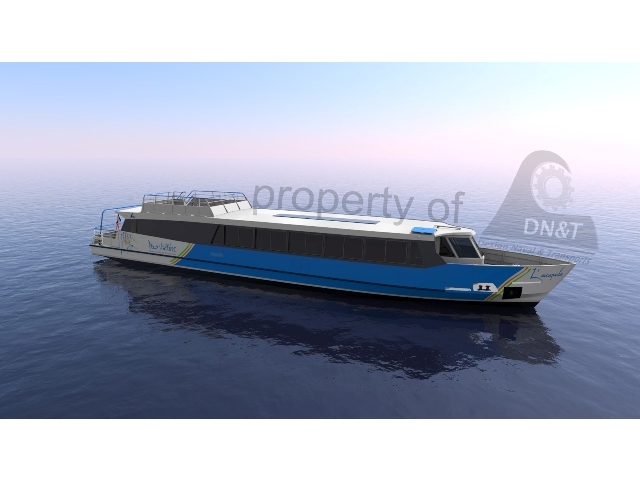 The development of the river traffic simulation software ITS has been finalized. INLI is now approved by Bureau Veritas. 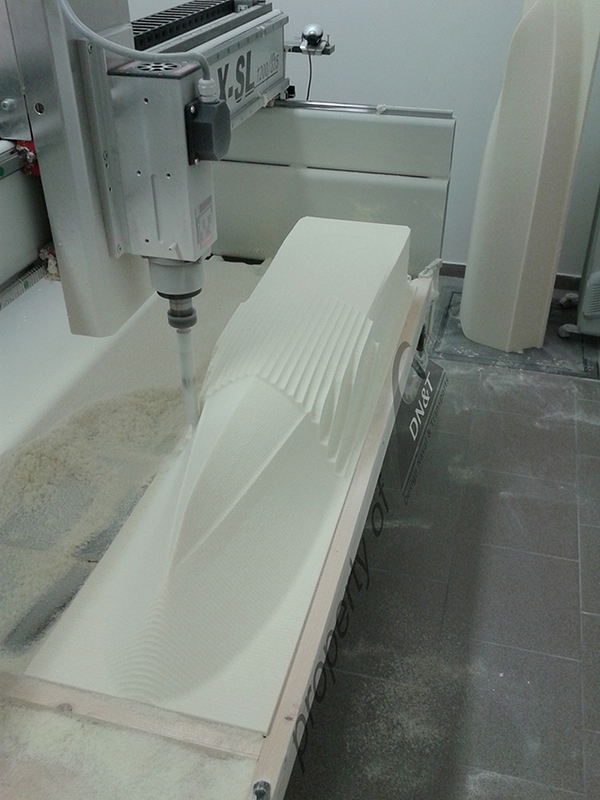 We are milling 10 hulls for the EMShip section of the University of Liège. Each student will have the opportunity to test its hull in the towing tank. News from the boat "L’escapade"
The construction of the new boat "L’escapade" is making great strides to its achievement! The hull is already built and the superstructure is being completed by the shipyard "Alumarine". The assembly of the shaft line and special techniques will start January 2015. 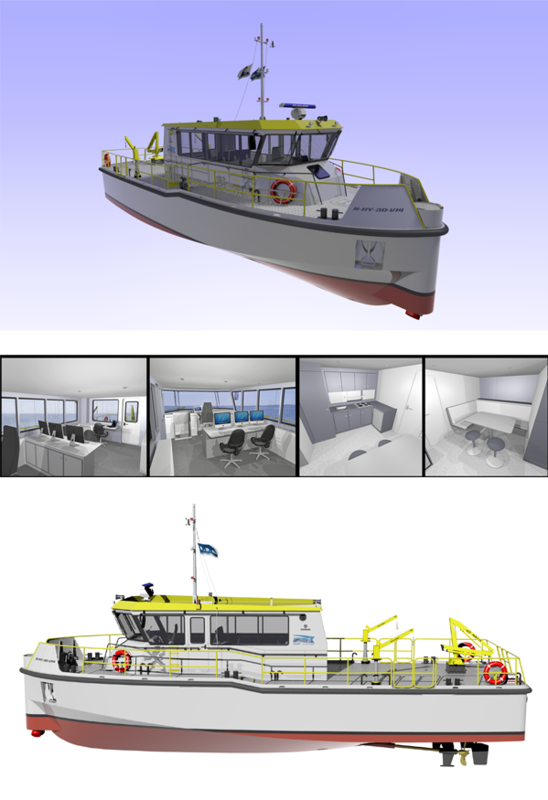 The final colors of the vessel are now defined as shown on the 3D rendering. 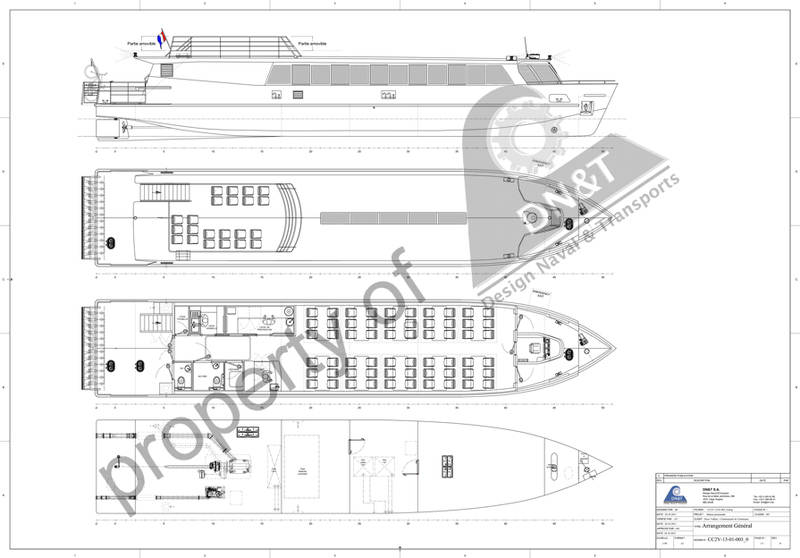 The activities of the boat will start Spring 2015. Graduated in naval architecture from Southampton Solent University in the UK, Alexandros Varelidis is the newest addition to the DN&T staff. We will be attending the International Week of Transport and Logistics in Paris, between the 1st and the 4th of April 2014, at the stand of Logistics in Wallonia, to present our different commercial solutions and ongoing projects. Our booth will be present at the SMART Rivers Conference from 25th to 27th September at the "Palais des Congrès" of Liege. The mooring boat has been launched ! The study began in July 2009, we made ship supervision and the ship for the Mooring Society of Dunkerque has been launched last week. We are certified ISO9001 ! The hydrographic boat is always in the development stage. It evolves according remarks of the various actors of the project.